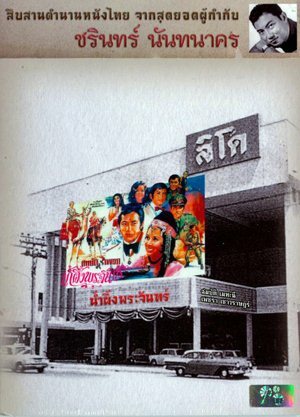 This Sahat Piempongsan movie page contains 29 records. 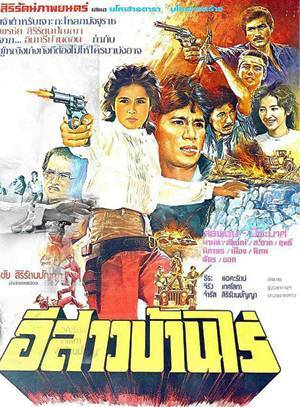 Thai movie รุ่นพี่ / Senior was released in year 2015. The movie lasts 1h47mn. Movie director is Wisit Sasanatieng. Mon, student in a convent, is a lonely girl talking alone. Both her parents die 12 years ago. Since that time, she can see and feel spirit's presence. One young male spirit keeps asking for her help but she refuses. She sympathises with another girl called Ann. Both of them are always harassed by other school girls. Mon finally accepts to help the spirit Run Phi to resolve a murder and a burglary (มรดก). Mon is able to feel spirits (สัมพันธ์). Mon contacts people involved such as Doctor Saneu (Sahat Piempongsan) and Mrs Wipha (Piathip Kumwong) but they don’t appreciate that such old case is reopened 50 years after. The spirit needs her help as he is not able to go through walls or doors if the building mapping has changed. The murderer (ฆาตกร) is still unknown. Her friend Ann is pregnant. A teacher is her boyfriend but he refuses to take responsibility (ช่วยไม่ได้). Romance does happen between Mon and the spirit despite they cannot see each other. 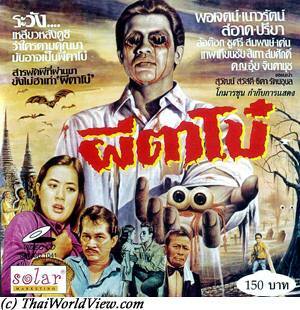 An evil spirit tries to prevent Mon to investigate. Ann gets suicide as she was harassed by other schoolmates and humiliated by the teacher uploading a naked picture of her on Facebook. Mon asks the spirit to help her. Frightened by ghost visions, the teacher goes to Police and unveils he is the one, who uploaded the picture. At the same time, Mon discovers who killed Run Phi. 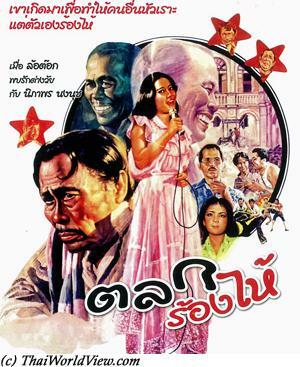 A Thai princess (ท่านหญิง) loved a common man, i.e. Doctor Saneu. Their daughter (หนู) Daeng was terrorized by the princess so she pushes her in the swimming pool. Daeng became the Catholic school headmistress. Doctor Saneu always wishes to protect his daughter Daeng so killing all who investigate this murder case. As the case is now resolved, Run Phi can now quit this world. 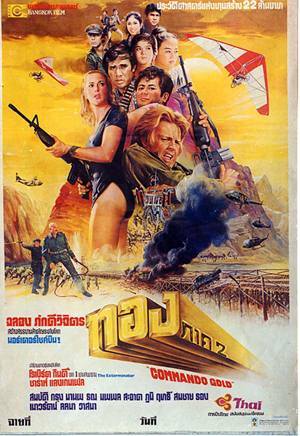 This movie got a few Thai cinema awards such as Best director. Bua, young female factoring worker, has a boyfriend, Pichan, who takes a video with his phone while they are making love. He shows it to his friends. One of them makes a copy while Pichan is not aware. He threathens Bua to release widely the movie if she doesn't give him some favors. Following a dispute with her boyfriend, they stop seeing each other. Bua loses her job as the bad friend shares widely the video. Disappointed by her boyfriend's behavior, Bua goes back to her village. Her parents' house is empty. They both died following a train accident. 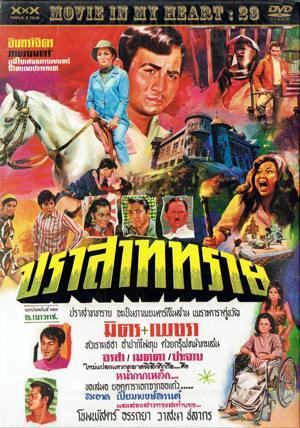 A villager called Samrit is having strong interest into Bua and tries to use a local sorcerer (หมอผี) to seduce her. Bua decides to kill herself as she has no hope after losing her parents, her job and boyfriend. She hangs herself under a Takien tree (ตะเคียน). She is reunited with her family and learns that their death is not accidental... A burying ceremony is performed. A few days later Bua ghost is back and frightens villagers. She kills one of the ruffians responsible of her parents' death. The Buddhist abbot is contacted for help. The sorcerer would like to control Bua in order to create powerful filters (ยาเสน่ห์), which could be even more powerful than corpse oil (น้ำมันพราย). 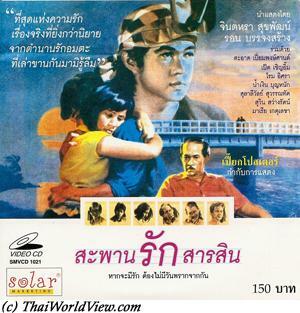 Bua's boyfriend comes back to her village to find her and excuse himself (คนกรุงเทพใจแห้ง,). Same as Nang Nak ghost story he stays with her. She eats food offering laid down in front of spirit house. Pichan can see her but not the villagers. The friend who shared the video on internet is also here. One of the friends is killed as they try to abuse Bua. The other stays in the temple chapel (โบสถ์) and refuses to exit. Pichan still refuses to believe that Bua is a ghost already. Finally confronted to proofs he acknowledges. But it is late to flee. Bua doesn't want to let him go anymore. Bua is upset with the monk and Samrit who revealed her death to Pichan. Bua killed both Pichan and the friend, who released the video. The sorcerer decides to fight Bua despite the abbot request. He tortures the Takien tree and uses voodoo pupet to force her to be his slave (เป็นขี้ข้า). Pichan breaks the charm and the sorcerer finally dies due to his greed. Bua finally listens to the monk and accepts her death (ต้องยอมรับความตาย). Bua (บัว) means lotus, i.e. the Buddhism symbol. 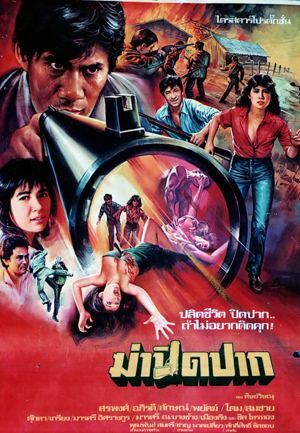 This movie reminds of 1990s Thai horror movies scenario but it features a more beautiful picture shooting (many wide angle shootings are used). 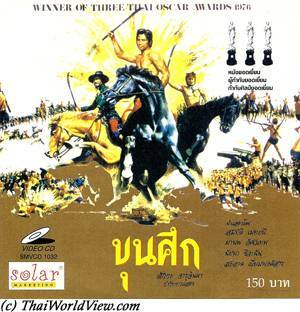 The scenario is also inspired of Nang Nak (นางนาก) famous story. 7 millions of baht have been hidden following a robbery. One of the robber is called Sing. His girlfriend is a prostitute. 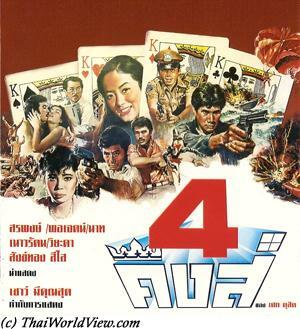 The police raids the illegal casino (บ่อน) she is staying in. They are looking for Sing but she doesn't know where he is hiding. The money has been hidden in a Buddhist temple. The three robbers come back to the temple but a chapel (โบสถ์) has been constructed on the top of the cache. They need to dig (ต้องขุด) but as it takes time, the only way is to become monk (ต้องบวช) in order to be able to stay in the temple. Sing points his gun to the abbot to force the ordination. Sing and Dang ordinate (เป็นพระ). Pong prefers to remain as a temple boy. Sing and Pong behave badly as monk, i.e. chase dog with feet, say bad words, don't follow closely the temple rules (ระเบียบของวัด), smoke, hit novice (เณร), don't pray before eating. Sing is atheist and calls the abbot as 'boss' instead of เจ้าอาวาส. At night time, they dig. The morning arrives earlier than expected. They need to hit the temple gong (ระฆัง), need to say blessings. The abbot has to justify their inexperience by mentioning they are new monks (พระบวชใหม่) from Thudong order (พระธุดงค์). Sing cannot support the food at lunch time made of alms donation (ฉันเพื่ออยู่ไม่ใช้อยู่เพื่อฉัน). The abbot is also doing tatoos. Pong asks for tatoos also (ศาสนาพุทธศักดิ์สิทธิ์เกิน ดีกว่าคุณทำร้ายได้). Sing is still complaining. His feet hurt as he is not used to walk bare foot. Life prison was easier. Food is not good. Earlier they promised to share 50% of the money with a fourth unknown man. The abbot has money on him and doesn't hesitate to touch a woman bitten by a snake. Dang and Sing hit badly robbers who were trying to steal Buddha statues in order to protect their secret digging activities inside the chapel. 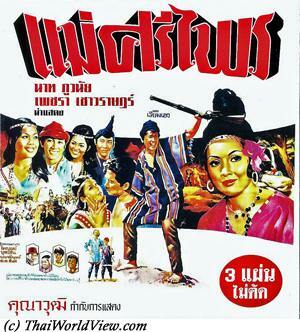 They lie to villagers (หลอกชาวบ้าน). They know they are wrong but still do wrong (รู้ว่าทำผิดแต่ยังทำผิด). Sing misses his girlfriend Nam Peung so he invites her to join him to Wat Pa Lom but she refuses believing it is another bad joke from Sing (ช่วยตัวเองก็แล้วกัน). Believing it can be good for her karma, she finally visits the temple and finds Sing as a monk (หลวงพี่). Sings removes his monk robe to make love to Nam Peung. Sing breaches all Buddhist precepts and brings trouble to the temple community. Pong is a good guy and explains to the abbot what happens before. 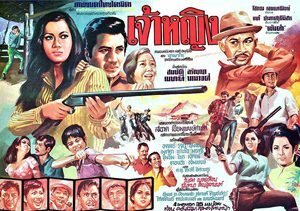 They did a bank robbery (ปล้นเงิน) and hide the money inside the temple's chapel. Pong wanted to help his blind mother. He has lengthy discussion with the abbot about Buddhism (It is possible to teach some people to be good, it is more difficult with some others สอนให้เป็นคนดีบางคนสอนได้บางคนสอนยาก - Badness is easier to do than goodness / ความชั่วทำง่ายความดียทำยาก). Being discovered by other monks, Sing and Dang threathen to kill the monks if they don't help to dig. At morning time, they need to go for alms (เป็นเวลาบิณฑบาตร). If they don't go, they will have nothing to eat. Today is Makabucha day so local people are coming for offerings (บูชา) and listen to sermon (ฟังเทศน์). Dang decides to give them a poignant sermon regarding children working far away from parents to send them money and encourage parents to teach well their kids (สอนลูกดีดี - กตัญญู) to avoid becoming bad guy like him. While digging, they find a cache but no money. Sing starts to break the main Buddha statue. There is a small golden statue inside. A police inspector enters the chapel. Nam Peung was keeping the police inspector informed. He is a corrupted cop asking for his share. They shot at each other. The police inspector is hit. Dang is hit also. 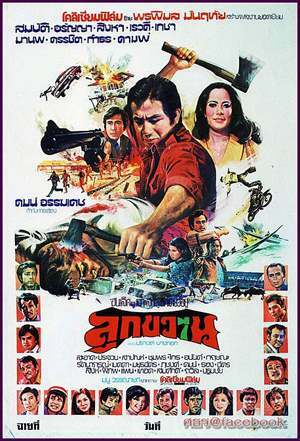 Nam Peung hits Sing, who was going to shoot the abbot. 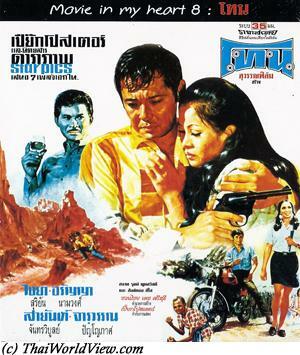 Nam Peung finds the money bag in the base of the Buddha statue but it is empty. She prefers to suicide herself instead of surrending to the police. The abbot takes the responsability on him (ผิดเอง). Pong is arrested. 4 years passed. Pong is doing ordination for his blind mother, who cries when holding the yellow robes (ผ้าเหลือง). The former abbot has defrocked. He has now a wife and a child. He is driving a Mercedes car. He comes back to get the golden Buddha statue. He was the one who kept the money. He is finally arrested and the statue is restituted to the temple. 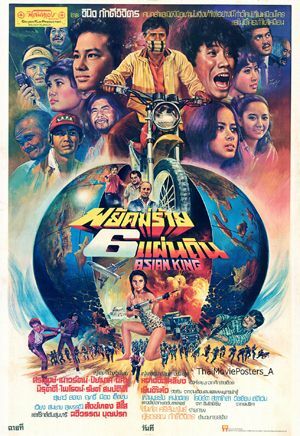 After 3 years waiting for the new film law to avoid a ban, this movie was finally released uncut with a Rate 18+. 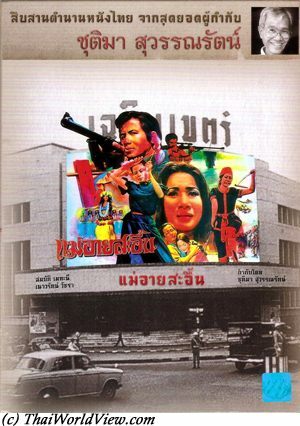 Making a story with bad monks is strong for the local Thai audience as faith and crime are always taboo in Thai films. There is a comparison between the four characters and the four types of lotus in Buddhism (บัวประเภทไหน). 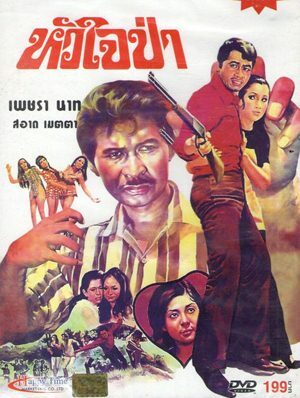 This movie is a based on a novel written by Jane Vejjajiva. It got a S.E.A. Write Award. A family is quitting their appartment in Bangkok. Katy, 9 years old girl, is now living with her grandparents on countryside. Kati's life in the village certainly contrasts with her life in the city as countryside life is depicted as quiet and bucolic. She misses her mum (แม่เคยสัญญาว่าจะกลับมา). She tries to have a normal life and so watches Thai TV series (ละคร) when coming back from school. She notices that there is no picture from her mum (ในบ้านไม่มีรูปถ่ายแม่เลย) in the house. She starts to understand there is something going wrong (ไม่เคยมีใครพูดถึงแม่). It looks like adults want Kati to enjoy her childhood and forgets her mum (กะทิจำหน้าแม่ไม่ได้แล้ว). Tong is Kathi's best friend and she spends a lot of time with him. She heard adults mentioning that nobody can escape suffering and unhappiness. 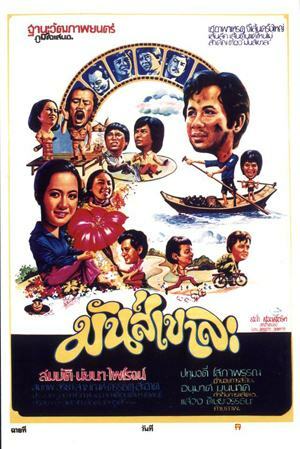 The movie shows nicely the life in the countryside (development coming in the village, football match in Buddhist temple compound, numerous pupils in classroom, first vision of a foreigner through a French cyclist visiting the village during his trip around the world). She then learns that her mother is very sick. Kati is sent to a house close to the sea. No need to hide the truth to her anymore. The mother is sitting on a wheelchair. She has no more strength. The movie shows the last touching moments of love between Kati and her mother. Kati spends a lot of time with her mother. The mother then passes away peacefully. Kati shall now decide if she wishes or not to meet her real father. She takes the decision to meet him and waits for his feedback. Meanwhile she goes back to countryside. The photography is superb. There is great picture and sensitive mood. The movie highlights the importance of family and close friends, life sorrow, change and choices that need to be taken. The last sequence on the drawers appears as a completion of Kati's life puzzle as she can learn about her mother's life and her own life amongst their contents. 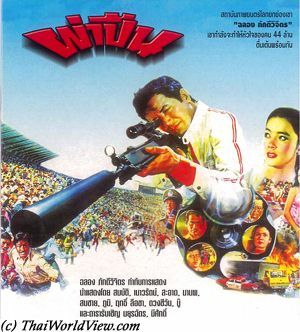 Thai movie Long June - ล่องจุ๊น ขอหมอนใบนั้นที่เธอฝันยามหนุน was released in year 1996. Teens June and Nok are close friends. They are living in Nakhon Pathom. 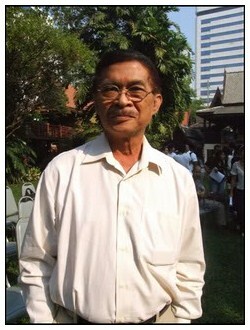 June's father is played by Sorapong Chatree. The father is separated from the mother many years ago. June is helping to transport goods every Sunday. He meets his father, who doesn't recognize him. On the same day, his mother announced him she is going to live with uncle Tor (Suchao Pongwilai). June is disappointed. Later on uncle Tor is finally a bad guy beating his mother. 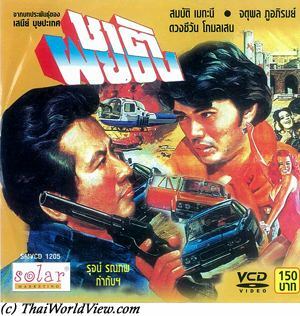 Following altercation, June stabs him and has to flee to Bangkok with Nok. Many years ago, the father splits with the mother as he wanted to have a minor wife but she refused. June is arrested by police in Bangkok and they found his father's business card. His father bails him (ประการตัว). Nok escapes the police. June has two young brothers. The youngest one has no interest in June and keeps asking for gifts from the father. 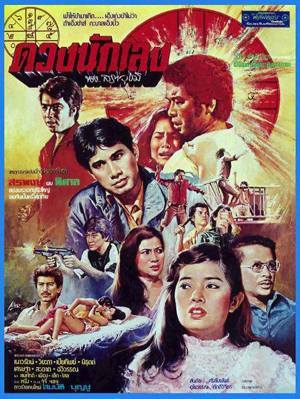 The head of school (Sahat Piempongsan) warns June about fighting in the school. Sorapong is a strong father, who doesn't trust June and had never any interest into him. June is fed up of this world where only adults (เป็นผู้ใหญ่) decide and are always right (ผู้ใหญ่ประเทศนี้มันไม่เคยผิดแล้ว). The teacher told him not to use bad mood (อารมณ์) to make decision. June accepts to recognise his mistakes when he makes error (ยอมรับผิด). Nok is now a drug leader. Romance with the daughter of school headmaster happens. June's brother buys drugs from Nok. The father is disappointed (ลูกไม่รักดี) to see his youngest son expelled from school due to drug usage. The father gets injured due to car accident and entrusts June to finish an important work but June needs to quit school. He feels to be the one to be sacrificed. He has issues with the workers. Finally he succeeds to make it on time and gets appreciation from his father. He also helps his younger brother beaten by drugs dealers led by Nok. Friendship happens a last time between June and Nok as Nok helps him. The family is now reunited and Sorapong is proud of June.